Title: WHEN PAT ROBERTSON CALLED FOR THE ASSASSINATION OF VENEZUELA'S PRESIDENT, WAS HE SPEAKING FOR GENUINE CHRISTIANITY OR FOR HIS DOMINION THEOLOGIST FRIEND, PRESIDENT BUSH? Subtitle: We should not be surprised that Robertson spoke unbiblicly, for he has taken many unbiblical stands, such as: 1) Bible is not inerrant; 2) Jesus cannot return to earth until His followers conquer the world; 3) No literal Rapture of the Church; 4) Wealth of this world will be transferred from sinners to Christians; 5) Our rescue from sin was not Jesus' actual goal; 6) Believers can attain immortality on earth by living sinless lives and then become immune to injury, disease, death; 7) "Overcomers" must purge the earth of all "evil" influences, even to the point of killing anyone who will not submit to their authority. Therefore, Robertson's repeated urging to assassinate foreign leaders who oppose America is fully consistent with Dominion Theology. Dominionist Theologians are setting up an earthly kingdom all right, but it is the one the Bible foretells which shall precede Jesus' return by 7 years! Televangelist Pat Robertson used the "700 Club" to badly damage Christianity. Once again, he called for the United States government to assassinate a foreign leader, this time, Venezuelan President Chavez! Not only is assassination not New Testament Christianity, but Robertson has delivered a grave propaganda blow to genuine Christianity the world over. For the past two years, Venezuela's President Chavez has felt tremendously endangered by President Bush's "Regime Change" foreign policy. After watching Bush order an invasion of Iraq based upon bold, often-told lies (NEWS1890 and NEWS1890b), Chavez' own military intelligence service must have warned him that he was on the President's "next list". Since then, Chavez has been vocally warning the United States that her forces had better not invade Venezuela (Read NEWS1900). CARACAS, Venezuela — President Hugo Chavez on Sunday vowed to freeze oil exports to the United States and wage a '100-year war' if Washington ever tried to invade Venezuela ... Chavez accused the United States of ousting former Haitian President Jean-Bertrand Aristide and warned Washington not to 'even think about trying something similar in Venezuela'. Venezuela 'has enough allies on this continent to start a 100-year war', Chavez said during his weekly television show." Lately, Chavez warned that, if President Bush continued his efforts to topple him, the American consumer would be paying $10 per gallon for gasoline! "Hugo Chavez, the president of the Republic, has assured people that the American market is not essential to Venezuela, and he declared that if the aggression against his government continued to increase, diplomatic ties between the two countries would be at risk. He said that President Bush cannot seem to take an accurate measure of the situation, and that either he has bad advisers or there is something wrong with his head. The chief executive said that if he stopped sending petroleum to United States, the Americans must know that the price of a gallon of gasoline would rise to $10." This risk certainly seems credible, for Americans have watched the price of gasoline quadruple in the past several years, most dramatically in the past six months. It seems that, every time President Bush and/or one of his officials threaten to attack either Iran or Venezuela, crude oil prices shoot skyward again. This "Rumors of War" scenario is convincing crude oil future traders that, sooner or later, the United States will attack either of these countries, an action which will ram prices through the roof. The real danger is that Iran and Venezuela might cooperate to organize an oil embargo against the United States. In fact, the leadership of these two countries have already thought of such a cooperation. Notice the strong language in this article. "TEHRAN — "Oil is the lifeline of the West, and most of the West's military industries are dependent on it,” the Tehran Times suggested in an editorial last week. Irritated by a recent resolution by the International Atomic Energy Agency (IAEA) that called for a halt to Iran’s uranium conversion program, the newspaper suggested that oil-rich states form a united front and use oil as a tool to confront 'western neocolonialist countries'." "In Venezuela, Pres. Hugo Chavez has taken the idea a step further, threatening to halt oil exports if alleged attacks on his country continue, according to Agence France Press. Appearing last week as a witness at a symbolic 'anti-imperialist court' in Caracas, Chavez said, 'Washington’s molestation may cause more serious problems; our two oil tankers going to the U.S. everyday may go to another country'. He added that the 'Northern America market is not compulsory for us'. Venezuela exports 1.5 million barrels of oil to the United States daily. According to the Islamic Republic News Agency, the Iranian newspaper’s editorial described oil as “the most potent economic weapon for settling scores,” and suggested an embargo on oil sales to the United States and European countries that are pressuring Iran to end its nuclear program." Certainly, those Americans who suffered through the 1973 Oil Embargo era can relate to the "settling scores" issue. The American economy suffered greatly during this period, but nothing compared to the suffering our vulnerable economy would experience if Iran, Venezuela and other oil producing countries cooperated in refusing to sell oil to us. Therefore, you can see the possible impact this statement by Pat Robertson might have on this country. Let us now return to The Guardian article for more information concerning Robertson's remarks. Pat Robertson doesn't "think" any oil shipments will stop if we assassinate President Chavez, but Mr. Robertson does not wield the foreign policy power which President Bush does, nor does he have expert advice at his disposal which could present him with various scenarios which might unfold following an assassination attempt. Further, since the early days of the "War on Terror", when President Bush called his invasion of Afghanistan in pursuit of Osama bin Laden a "crusade", the non-christian world has considered Bush's foreign policy forays as an extension of his christian beliefs. More specifically, Mass Media reports during the past three years have repeatedly noted that President Bush has surrounded himself with religious advisers who believe in Dominion Theology. We shall return to this most important concept shortly, because the Charismatic Pat Robertson is a major proponent of Dominion Theology. Robertson then expounded a little on his call for this assassination. We should not have been surprised at these remarks, for Robertson has advocated assassination of foreign leaders before. "The Rev. Pat Robertson's suggestion that the United States assassinate Venezuelan President Hugo Chavez was the latest in a long line of incendiary remarks by the religious broadcaster, including at least one other call to 'take out' oppressive world leaders. Six years ago, Robertson said the U.S. could send agents to kill Osama bin Laden, North Korean dictator Kim Jong Il and Saddam Hussein. "Isn't it better to do something like that ... to take out Saddam Hussein, rather than to spend billions of dollars on a war that harms innocent civilians and destroys the infrastructure of a country?" This remark six years ago almost exactly parallels what he just said about Chavez! I guess Robertson decided that, since he did not get much pressure from his earlier remarks about killing Saddam and Osama, he would not get any flack this time. However, once the flack started coming, Robertson fell back upon an old trick: he claimed he was "quoted out of context". "VIRGINIA BEACH, Va. (AP) - Religious broadcaster Pat Robertson insisted Wednesday that he did not call for the assassination of Venezuelan President Hugo Chavez, despite comments broadcast on his program two days earlier. 'I didn't say 'assassination,'" Robertson said Wednesday on his Christian Broadcast Network show 'The 700 Club' about remarks reported by The Associated Press and other media outlets. 'I said our special forces should 'take him out. Take him out' could be a number of things including kidnapping. There are a number of ways of taking out a dictator from power besides killing him. I was misinterpreted by the AP, but that happens all the time'." A quick check with the article quoted below shows that Robertson used this same lie about a comment he made not too long after the attacks of 9/11. "I think (federal judges) are destroying the fabric that holds our nation together. ... The gradual erosion of the consensus that's held our country together is probably more serious than, than a few bearded terrorists who fly into buildings." - Robertson earlier this year on activist judges. He later said his comments were taken out of context." It is no wonder that Robertson withdrew into his shell, for now he has just been caught lying about what he said. The White House quickly dismissed Robertson's remarks as "inappropriate". "how dare you!.yousay that you are christian,but i dont see it!i have been afflicted by your kind.people that you support are killing others.or calling out for murders(pat robertson about venezula prez. )your orginazation is the evil." This poor man equates Cutting Edge Ministries with Pat Robertson's "Dominion Theology / Kingdom Now" ministry! He cannot see the difference. Robertson's remarks are clearly non-Christian. Listen to Jesus' rebuke to his disciples when they wanted to "take out" an entire village of people who had just refused their Gospel message. This is the message Pat Robertson and all his Dominion Theology buddies need to hear: Jesus "did not come to destroy men's lives, but to save them"! 2) Since President Bush characterized his invasion of Afghanistan and his overall "war on terror" as a "crusade", the non-christian world has viewed his warlike, aggressive "Regime Change" policy as a natural outgrowth of his "Christian" prophetic beliefs. While genuine Christians are amazed that anyone could reach this conclusion, the reality is that Bush's religious advisers are not Christian, but Dominion Theologians, like Pat Robertson. We discuss the concepts of Dominion Theology / Kingdom Now, below, but the point we are making is simply this: the world outside America looks at Bush's wars as being driven by his Biblical prophetic beliefs. Therefore, as his policies are getting ever more disastrous, the world will turn rapidly to blame genuine Christianity for the disaster. Certainly, when the Masonic Christ arises and Bush is removed from office to be tried for War Crimes, his forces will quickly turn on Christians, justifying their persecution and death upon the belief that their prophetic beliefs caused the unparalleled disaster and death known as World War III. Now, let us examine Dominion Theology and its heretical belief structure. When you thoroughly understand that Pat Robertson has interviewed this key cadre of New Age leadership, you will understand that he is not a genuine Christian, but a counterfeit one, and thoroughly in sync with their beliefs. Interestingly, the very Biblical name for "Antichrist" literally means "opposing Christ in the guise of Christ" (1 John 2:18; Footnote for Amplified Bible Commentary). Satan has long known that the best way to deceive Christians is through the work of counterfeit Christians. For this reason, Jesus commands that we do not judge superficially, especially by words, but by deeds and by whether their deeds conform to Scripture. Let us now go back to Dr. Burn's book to see how these Dominion Theologists justify exterminating people. If President Bush is guided by Dominion Theology as espoused here by the Manifest Sons of God teachers, you can understand how he could justify to himself the brutal invasion of Iraq, even though it was totally based upon a gigantic lie. 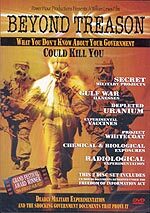 The awful murder and sufferings of Islamic civilian people through daily exposure to Depleted Uranium dust is also justified, for they are "evildoers", i.e., they do not accept the authority of the Manifest Sons of God (President Bush) and do not accept their belief that they are all going to be a "Christ" someday. Pat Robertson expresses this truth in a somewhat muted format, but he advocates getting rid of the people who refuse to conform. "Interestingly, Pat Robertson wrote a book entitled The Secret Kingdom. One subheading in this book is 'Renegades Excluded'. He states that the renegade 'will be ostracized. That, in a sense, was God's answer to the problem when He called His people Israel. They were not to temporize. The renegade was removed from society and rendered incapable of such conduct through very harsh punishment'." This movement also teaches that each follower can become "little gods". "Kenneth Copeland unashamedly boasts, 'You don't have a God living in you; you are one' ... Kenneth Hagin teaches, 'Adam was the god of this world, but he sold out to Satan, and Satan became the god of this world'." Please understand there is absolutely no Scriptural basis for this theological theory. The Bible does not tell us that Adam lost dominion over the created world, nor are we told that we must take this earth back from Satan. Mankind still has dominion over the animals, so even though Adam sinned, the dominion God gave them was not lost. Satan did become the "Ruler of the Power of the Air", but mankind still retained dominion over God's created animals. The Bible states that God placed a fear of man in the animals in order to preserve man's dominion. Did you notice that the Weiners just told us that our rescue from sin was "not the goal of salvation"? David Chilton claims that God's original purpose of salvation was Dominion. 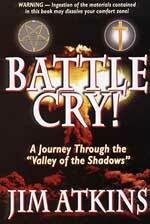 At this point, this Dominion Theology / Kingdom Now program perfectly meshes with the New Age / Illuminati Plan. They, too, plan for the Masonic Christ to restore the Garden of Eden. This restoration is planned to follow the Christ's "cleansing of the earth", during which all the "renegades" and "evil" people who will not accept the claims of the Christ will be eliminated, destroyed from off the face of the earth. 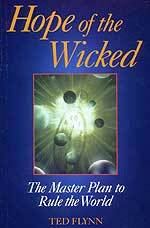 THAT is the Illuminati Plan, and it certainly is the plan of the Dominion Theology / Kingdom Now leadership. Could it be that the supernatural spirit behind both these movements is the same? When you consider that the top Dominion Theology / Kingdom Now leadership is said to have the ear of the top Illuminist leadership in this country, this possibility gains great credence. Therefore, is the earthly kingdom which the he Dominion Theology / Kingdom Now leadership planning to create really the coming Kingdom of Antichrist? We know that the earthly kingdom which will be set up before the true Jesus arrives on the earth will be the 7-Year Kingdom of Antichrist -- he who opposes Jesus Christ by coming in the guise of Jesus Christ! This is exactly what these Dominionists - Kingdom Now group is doing! They are establishing Satan's Kingdom by claiming to be working for Jesus Christ. Is it no wonder that Jesus foretold that, at the Final Judgment, many people would stand up, not understanding why they were going to Hell (Matthew 7:21-23)? After all, they had worked mighty miracles in Jesus' Name, they had cast out demons and done many mighty works -- also in His Name! If this group is working to establish Christ's KINGDOM NOW, they are really working to establish the kingdom of Antichrist! But, of course, you know that by reading this synopsis of their beliefs. Now, you know why this group has the ear of President Bush, because their kingdom goals are identical to the goals of the global Illuminati. And, finally, you know how it is that Pat Robertson can consistently call for the assassination of "renegade" foreign leaders; after all, since they are refusing to submit to President Bush's leadership (latter day apostles), they deserve to die! With this kind of spiritual deception fulfilling verses like 1 Timothy 4:1-2, can you continue to refuse to believe that the End of the Age is very close? Are you spiritually ready? Is your family? Are you adequately protecting your loved ones? This is the reason for this ministry, to enable you to first understand the peril facing you, and then help you develop strategies to warn and protect your loved ones. Once you have been thoroughly trained, you can also use your knowledge as a means to open the door of discussion with an unsaved person. I have been able to use it many times, and have seen people come to Jesus Christ as a result. These perilous times are also a time when we can reach many souls for Jesus Christ, making an eternal difference.